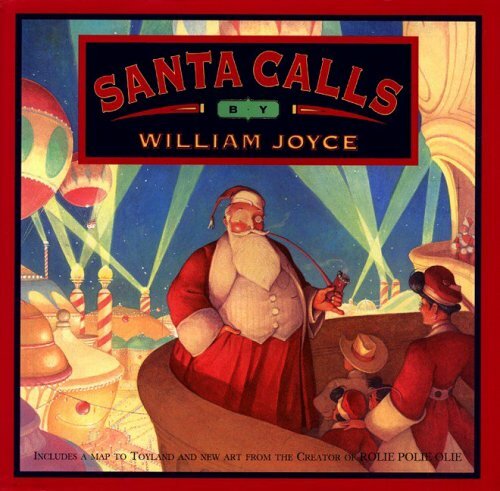 ….and “Santa Calls” by William Joyne (an author and illustrated most famous for publishing over 50 children’s books and creating characters for Toy Story and A Bug’s Life). So what comes from having these two books among Wayne Coyne’s inspirations? Coyne’s lyrics rarely tell such a complete story as they do in “Christmas at the Zoo,” and its vivid and playful imagery make it a quintessential example of Wayne’s writing at its best. It’s brilliantly simple – with a child-like wonder – but also with a thought-provoking perspective from a man who has experienced life. Is it a kids story for adults or a philosophy discourse for children? Like Dylan, lyrics like these are open to many interpretations. Though Wayne probably didn’t have this in mind as he wrote, it can even be heard in Biblical terms as the animals (symbolizing us humans) are offered salvation only to refuse the savior. Whether the last line is heard as an indication that the animals are doomed for rejecting their savior, or just as a light-weight ironic twist (like if O Henry’s “The Gift of the Magi” rocked! ), it gives a new meaning to what a “White Christmas” represents as the snow traps the animals from the freedom they rejected. Summer Villains and Three Day Threshold’s “I Want a Zoo for Christmas” is a straight up children’s song, but kids of all ages can enjoy it. “I Want a Hippopotamus for Christmas” is a holiday novelty song famously recorded by Gayla Peevey. A local child star in early 1950s Oklahoma City, the song gave her national recognition. Every Monday-Friday until Christmas a new video is posted on this blog and at youtube/psychexfutureheart with unidentified holiday music. If you can name the tunes and the artists performing them in the comment section below before anyone else, you could win cool prizes from Dwelling Spaces. You can watch all the prior contest videos – plus many more – in this nearly 14-hours-long holiday music/ video playlist, or at youtube/psychexfutureheart. The Flaming Lips – Silent Night / Lord, Can You Hear Me? Clearly Evan beat me to the punch (again), but i’ll play the ‘technicalities’ card and hope for the best. When recorded, MGMT was still called The Management…..or so says the interwebs…. It’s my understanding that “Come On Christmas” (and the rest of “Climbing to New Lows”) was recorded when they were still calling themselves “The Management” but “released” (as a leak) after they made the name switch to MGMT. In anycase, Even gets four points. Fair enough….shot in the dark… ;) All’s in fun. Kudos Evan. Since FutureHeart’s been working so hard finding rare Christmas gems for us, I thought I’d share back a few of my faves. Thanks, especially for the Sugar – never heard that one before. In other news, the final video is now up. You have until Christmas at midnight to e-mail as many songs/ artists as you can name to futureheart@ymail.com…. If you’ve been following along but haven’t won any contests yet you still have a chance to qualify for prizes from Dwelling Spaces!